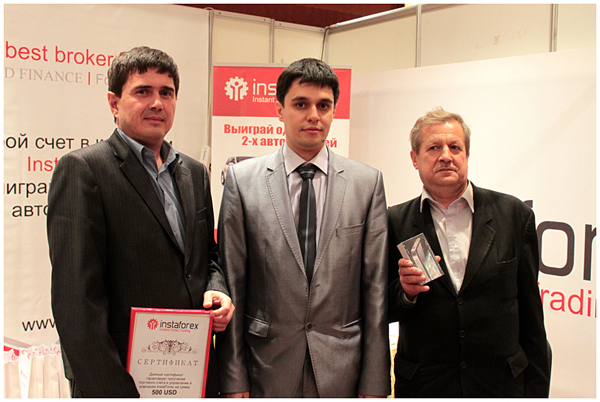 InstaForex booth was in the business center in Radisson Royal Hotel, one of the best in Moscow. The company provided thorough information about wide range of its services. Our representatives told about various offers to make Forex trading more profitable. Moreover, every guest of the exhibition could become a member of exclusive InstaForex club and get $30 bonus account. As a part of the exhibition program, InstaForex Company held several interesting seminars with Viktor Pershikov and Stanislav Zelenskiy, new InstaForex analysts and first-time ShowFx World speakers. 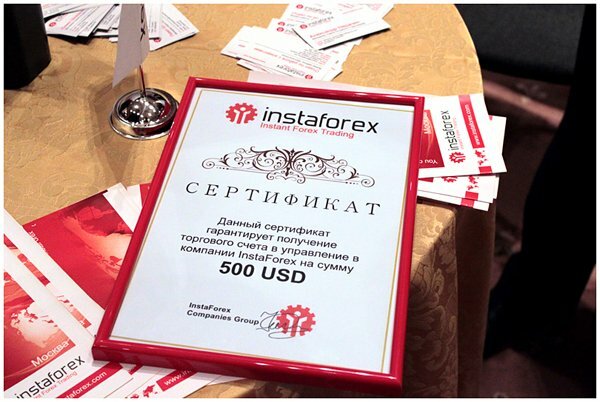 Also the company was presented by well-known InstaForex analysts Gleb Kabanovs and Sergei Belyaev. The most popular among EXPO guests were different promo campaigns held by InstaForex. Exhibition participants tried on caps and T-shirts with the company’s logo with great pleasure. They drank tea from brand mugs and took part in prize draws. The top prizes were four $500 cash prizes, iPhone, Samsung Galaxy III and Samsung Galaxy Tab. InstaForex Company would like to thank all the organizers of the exhibition and guests who visited our booth and participated in seminars and prize draws. We look forward to meeting you at next ShowFx World events. Trade and earn with InstaForex! The photoreport is available in InstaForex Blog. This entry was posted on Friday, September 21st, 2012 at 8:28 am	and is filed under Events. You can follow any responses to this entry through the RSS 2.0 feed. You can leave a response, or trackback from your own site.